Students and community are encouraged to attend a master class with saxophonist János Csontos, a Pacific alumnus 2016. Csontos has premiered over 15 new works for saxophone as a chamber musician and a soloist. 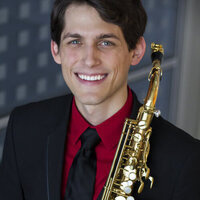 He is dedicated to the performance of contemporary repertoire and has received numerous awards, including the Grand Prize at the Chicago Woodwind Chamber Ensemble Competition.